The M1 Touch app will not work with the port 2601 when using it on this new operating system. This is not an issue in the app but an issue in the Android 5.0 Lollipop operating system which we have no control over. We have notified and reported this issue to Google and they are still looking into and have not yet fixed it. We highly recommend you don’t update your device to Android 5.0 Lollipop until this incompatibility issue is fixed by Google otherwise the M1 Touch app will fail to connect to your M1 with the port 2601. 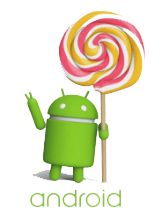 If you do update your device to Android 5.0 Lollipop then you will need to use the port 2101. Port 2101 works fine and no issues where found when using this port during our testing. We do apologize for the inconvenience but as you understand this is out of our control and need to wait for Google to fix this issue in their Android 5.0 Lollipop Operating system. Please visit this post regularly as we will post more information when it becomes available on when Android 5.0 Lollipop is fully supported.